Almost a year ago, I set out with some of the of dearest people I’ve ever known to create Syntax & Salt. It’s been a privilege to read so many stories and a pleasure putting great work out there into the world. If I’m totally honest, it’s also been a lot of work, but more so, a lot of dreaming. And if you ask me, dreaming is the good stuff. It stops us from assuming that lines are permanent and can never be broken or colored over. But damn if it isn’t hard to dream right now. For many of us, this moment feels like yet another bullet in the already wounded heart of humankind. Transgender men and women continue to be at such high risk of violence that we have a Wikipedia page to keep track when they are murdered. Refugees are denied safety and respite out of deeply entrenched fear that our government representatives not only play into, but also foster. Minorities, particularly Black men, remain at risk of violent, sometimes murderous, reactions of the very police forces that are supposed to protect us, and for minorities, jail terms are often longer. Muslim women are being attacked on campuses for their beliefs. Native Americans have been arrested and held in dog cages while protesting. These are increasingly hard times for many, and sometimes I wonder, do we have the luxury of dreaming right now, when there is so much work to do? My heart says this isn’t a luxury, it’s a necessity; we must do the hard work of dreaming and creating with even more fervor when it’s hardest. When we do, we see the world change, because we forget, for a time at least, the boundaries and limitations faced, and instead, we’re shaping possibility, or more accurately, we’re working with what feels like raw impossibility. We need art to show us what impossibility looks like when it’s transformed. Art helps us dream. If we can say that art helps us dream, then I think it’s safe to say we need it more than ever. We know we’re moved by music, stories, paintings, movies, a performance, whether it be in a way that elicits joy, or strikes a minor key chord in our bones. If you want to see an entire room of adults weep, show them the first few minutes of Up, or go to an operatic tragedy and feel the way an alto solo expression of grief resonates, no matter the language. By the same token, there’s an entire distinction in literature we call escapism, because sometimes we just need to feel lighter, less embattled. Now is a time to create, whether in support or opposition, or as commentary, or a source of levity, or as a way to take a moment to escape from the vitriol, the violence, and regroup. We have the distinct advantage of technology on our side in this endeavor. I firmly believe technology is an expression of our ability, art is an expression of our spirit, and together they are a coin that spins infinitely and beautifully as long as it’s balanced. Thanks to modern technology, we are able to look at each other from these formerly insurmountable distances and really see each other in such a profound way. And yet we so often stubbornly refuse to see. The proliferation of choices has enabled us to choose not to see anything, to embrace blindness. There’s a distance between what can be and the way reality often turns out. The way in which technology showcases our abilities, our incredible skills as a species, is astounding. In this, we find ways to truly belong to each other. As much as art, technology is truly instrumental, but as we look to technology to keep our bodies, homes, and countries safe, we at times look away from the human spirit as a collective. We move toward isolation and fragmentation as we eyeball our neighbors. We eyeball them, and we arm ourselves with the sorts of technology designed to offer a sense of protection, when in most cases we’re using them to build walls between Them and Us. We don’t trust Them, or like Them, or think they belong, because we are afraid of Them, and they are afraid of Us, or any manner of reasons. But when we hurt one, we hurt as one. Just as with any individual, a damaged spirit leaves us vulnerable as a broken or violated body, and we must use technology, in accord with the art we create, to build bridges across distance, across blindness. This is where our responsibility as artists lies in being even more diligent about creating art in times when our human spirit is battered and to use technology to reach ever outward. Our responsibility as artists also goes further than creating, to taking time to see, share, and marvel at the art others create, particularly those most disenfranchised among us, who are lifting their pens, their voices, their brushes and creating not only because of fear, but despite the real risk they may face. Amplify lesser heard voices. Perhaps frightening times create opportunity, even the requirement, that we contribute an effort to heal the heart of us, the thumping, beating, organ of empathy and compassion that pushes us to lift a hand, to raise a voice, to be a light in the dark. So, even though it’s hard to dream when so many of us are vulnerable and exposed just by accident of birth, we must. When we are attacked or terrified or enraged, we have to dream, and we have to create, and we have to be fearless in our art, because we owe that to the broken heart of humanity. 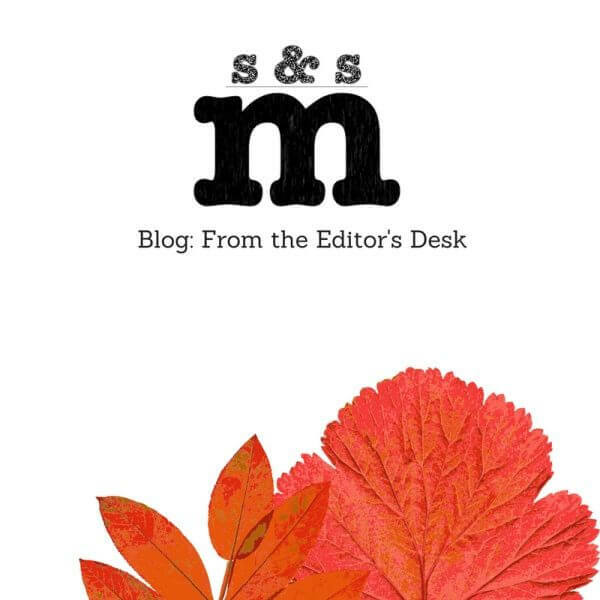 Thank you for being a part of Syntax & Salt, as a reader, a contributor, or a staff member. We couldn’t do this without you. Now go make art.